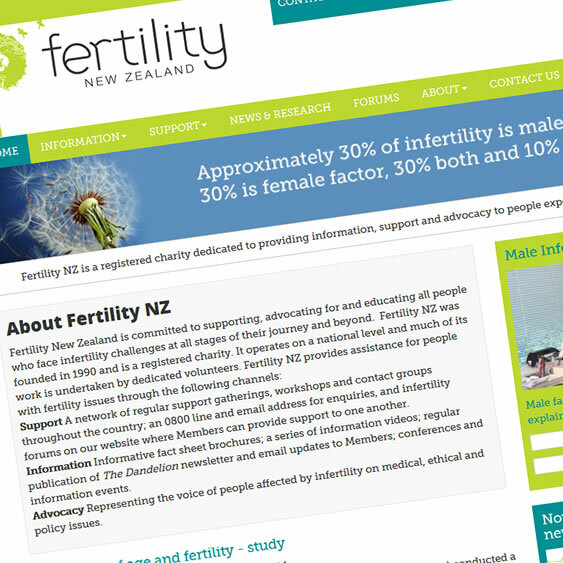 Fertility NZ provide information, help and support for couples trying to conceive. Their members can discuss their personal journey and help others in the forum. Each year the organisation runs a special fertility week event with guest speakers and presentations. Their original website had some navigational problems and no longer matched their new "brighter" design style. I was asked to create a custom built Concrete5 theme which matched their new branding and colours. I upgraded their old version of Concrete5 and migrated membership and other website data. I currently work to provide mechanisms and features to help with the smooth running of the organisations day to day activity.